Late of Maroba Village, Waratah, formerly of Tinonee. Passed away peacefully on Friday 22nd March 2019. Beloved Wife of Eric(dec). Much loved Mum of Margaret and Ron Goleby, Peter and Rhonda, John and Judy, Graham (dec), Ian and Lynda. Devoted Nana of Anita, Antony, Nicole, Nigel, Glenn, Gregory, Rebecca, Angela, Amy, and great grandmother to her sixteen great grandchildren and one great great grandchild. Will be dearly missed by Nell and Les and their family. A special lady in the lives of her extended family and friends. 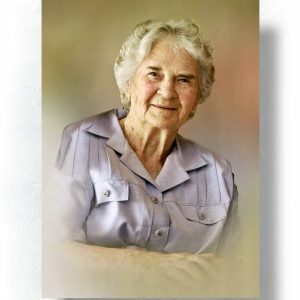 Relatives and friends are invited to attend the Funeral Service for the Late Doreen Dibley at St Lukes Anglican Church, Winter Street, Tinonee, commencing at 10.30am on Friday 29th March prior to private cremation. In lieu of flowers, donations to the Save Sight Institute would be warmly appreciated.